The music of Kirsten Broberg has been performed by internationally recognized ensembles such as the Kronos Quartet, the Chicago Symphony Orchestra, the Saint Paul Chamber Orchestra, the Crossing Contemporary Choir, the International Contemporary Ensemble, the New York New Music Ensemble, the Jack Quartet, Ensemble Dal Niente, the New Millennium Orchestra, the Sonic Inertia Dance and Performance Group, Third Coast Percussion, the University of Minnesota Symphony Orchestra and the Saint Olaf Philharmonia Orchestra. Her music has been heard at events such as Nuovi Spazi Festival at the American Academy in Rome, Italy; the Ensems Festival for Contemporary Music in Valencia, Spain; Sonic Fusion Festival in Edinburgh, Scotland; the International Contemporary Ensemble New York and Chicago ICE Fests; the June in Buffalo Festival in Buffalo, New York; Sonic Impact at the Museum of Contemporary Art in Chicago, Illinois; Electronic Music Midwest Conference in Chicago, Illinois; the Sound Field New and Experimental Music Festival in Chicago, Illinois, and the Opera Cabal Multimedia Festival in Chicago, Illinois. Among Broberg's awards and grants are the Fromm Foundation Commissioning Grant from Harvard University, three Encore Grants from the American Composers Forum, two William T. Faricy Awards at Northwestern University, three Wyatt fund grants from Northwestern University, first place in the Accent '04 International Call for String Quartets at Cincinnati Conservatory and first place in the University of Minnesota Call for Orchestral Scores. Broberg earned a Bachelor of Music degree in music theory/composition and a minor in creative writing from Concordia College in Moorhead, Minnesota in 2001; a Master of Arts in music composition from the University of Minnesota in 2003; and graduated with honors with a doctorate in music composition at Northwestern University. Her primary composition instructors at Northwestern University included Augusta Read Thomas, Jason Eckardt and Jay Alan Yim. She also studied music composition privately with Kaija Saariaho, Tristan Murail and Philippe Hurel in France in summer 2013. Minnesota Public Radio's Alison Young featured her music in a broadcast and live interview entitled "Kirsten Broberg gets her Big Break" in 2013. Trevor Hunter with the American Music Center released the article and radio broadcast, "Kirsten Broberg in the Abstract" in 2009. Broberg's solo piano piece, "Constellations," recorded by Matthew McCright, was released by Innova Records in May 2009 and her choir piece “Breathturn,” recorded by conductor Donald Nally and the Crossing Contemporary Choir was released by Parma/Navona records 2011. Broberg's Resonant Strands cycle for piano, bowed piano and string quartet recorded by Winston Choi with the Spektral Quartet will soon be released. Broberg is passionate entrepreneur and advocate for the arts. She co-founded and currently co-directs the Minneapolis-based group Ensemble 61. Broberg also founded the Chicago-based not-for-profit contemporary music group Ensemble Dal Niente in 2004 and served as the Executive Director for six years. She was also the President of the Northwestern University Graduate Music Organization from 2005-2008, the Music Composition Chair for the 2005 Midwest Graduate Music Consortium and has served on the Board of Directors for New Music Chicago, the Steering Committee for the Chicago Composers Forum and on the 2006 Northwestern University New Music Marathon planning committee. Also an accomplished instructor, Broberg has taught undergraduate through graduate level music theory, composition, contemporary music, form and analysis, counterpoint, music history, world music, popular music, jazz music, song writing and music production at institutions such as Northwestern University in Chicago, University of Minnesota in Minneapolis, Saint Olaf College in Northfield. Chicago College of Performing Arts at Roosevelt University in Chicago, University of Saint Thomas in Saint Paul, North Park University in Chicago and the Art Institutes International in Minneapolis. She is currently an Associate Professor of Music Composition at the University of North Texas in Denton, Texas. James Lee III, born 1975 in St. Joseph, Michigan cites as his major composition teachers Michael Daugherty, William Bolcom, Bright Sheng, Betsy Jolas, Susan Botti, Erik Santos and James Aikman. As a composition fellow at the Tanglewood Music Center in the summer of 2002, he added Osvaldo Golijov, Michael Gandolfi, Steven Mackey and Kaija Saariaho to his roster of teachers, and studied conducting with Stefan Asbury. Recent premieres and performances of his music include; Papa Lapa by the Detroit Symphony Orchestra, Thomas Wilkins conducting, in 2001; the premiere of Sympathy, for flute, percussion, harp and chorus, given by the Leigh Morris Chorale in St. Paul in 2002; A Place for God’s People, an orchestral work premiered at Andrews University in 2002. In 2002 Dr. Lee had two premieres at the Tanglewood Music Center in Lenox, Massachusetts. Those premieres included The Appointed Time for string quartet and Psalm 61 for members of the Boston Symphony Chorus. Through the Eyes of Time for orchestra was commissioned by the Alabama All-State Festival Orchestra and introduced in Mobile under Anthony Elliott in 2004. Recently, Maestro Leonard Slatkin has begun to champion Dr. Lee’s work. In 2006 he premiered Beyond Rivers of Vision in Washington D.C. at the Kennedy Center with the National Symphony Orchestra. During his inaugural concerts as the new music director of the Detroit Symphony Orchestra, Mr. Slatkin premiered A Different Soldier’s Tale with the orchestra in Detroit on December 11 – 14, 2008. The National Symphony, Baltimore Symphony, Soulful Symphony, Philadelphia Orchestra, Detroit Symphony, Memphis Symphony, Indianapolis Symphony, and the Southwest Michigan Symphony Orchestra have performed James Lee III’s works. Leonard Slatkin and the Detroit Symphony Orchestra performed Beyond Rivers of Vision on January 29 – 30, 2010. The 2009-2010 season also included the world premieres of 12 Preludes of the New Earth for piano by Daniel Lau (November), A Clean Heart for mixed chorus by the Baltimore Choral Arts Society (December), Scenes Upon Eternity’s Edge for flute, violin, cello, and piano by the Monument Piano Trio and flute (February), and a Morgan Fanfare by the Morgan State University Band with Melvin Miles directing (April). 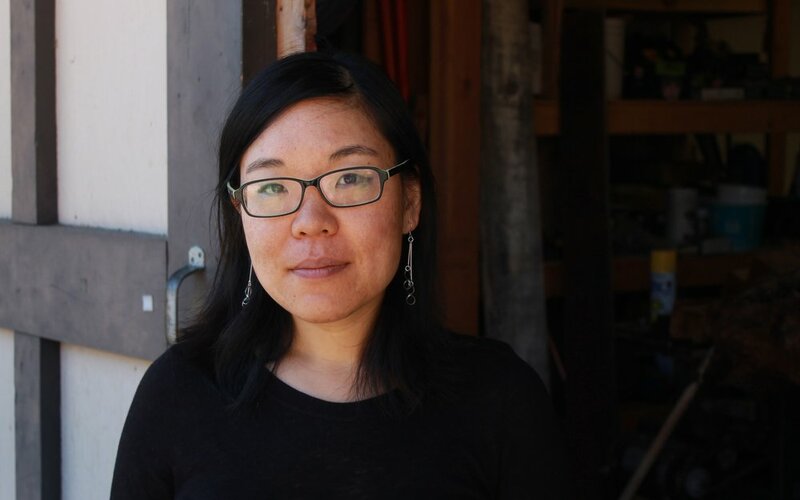 During the 2009 – 2010 season Dr. Lee won the Wladimir and Rhoda Lakond Award of $10,000 from the American Academy of Arts and Letters in New York City. He was also the composer-in-residence for the Ritz Chamber Players, an African-American chamber music society based in Jacksonville, Florida. Performances with that organization included the Florida premiere of The Appointed Time for string quartet. Pianist Terrence Wilson also performed Dr. Lee’s sonata for piano in Seattle, Washington on April 29, 2010. In May 2010, the Baltimore Symphony Orchestra performed a movement from Beyond Rivers of Vision. James Lee III was also commissioned by the Baltimore Symphony Orchestra to compose a work about the life of Harriet Tubman. The work is called Chuphshah! Harriet’s Drive to Canaan and it was premiered on September 23-25, 2011. He was also named the winner of the Sphinx Commissioning Consortium for the 2011-2012 season. Mr. Lee composed a new work called Sukkot Through Orion’s Nebula that was premiered by Michael Tilson Thomas and the New World Symphony Orchestra on October 15-16, 2011 in Miami Beach, FL. Other performances of Dr. James Lee III’s work include performances of Sukkot Through Orion’s Nebula with the Cincinnati Symphony (January 2012) and the Grand Rapids Symphony Orchestra (February 2012). February 1, 2012 included another performance of James Lee III’s string quartet The Appointed Time. On this particular occasion, the Harlem Symphony Orchestra Chamber Players presented it at the Forbes Center for the Performing Arts at James Madison University. On February 15, 2012 the Ritz Chamber Players gave the world premiere of Mr. Lee’s Night Visions of Kippur (piano quintet) at the University of Washington Meany Hall in Seattle. During the 2012-2013 season Sukkot Through Orion’s Nebula will be performed by the Akron Symphony Orchestra in November 2012 and the Detroit Symphony Orchestra in March 2013. Later in the month of March, Mr. Lee’s newest work for band, Ancient Words, Current Realities! will be premiered by the St. Olaf Band at the College Band Directors National Association Conference in Greensboro, NC. During the month of April, James Lee III will see the premiere of his Piano Sonata No. 2 “The Remnant” premiered at the University of Illinois by pianist, Dr. Rochelle Sennet. Recently, James Lee III has been invited to be a composer among a list of internationally recognized composers to participate in the Psalms Project of the organization Soli Deo Gloria. Dr. Lee is also an associate professor at Morgan State University in Baltimore, Maryland. Jonathan Russell is a composer, clarinetist, conductor, and educator, whose work has been hailed as “incredibly virtuosic, rocking, and musical” (San Francisco Classical Voice) and “a fantastically distorted perpetual motion of awesome” (I Care If You Listen). Especially known for his innovative bass clarinet and clarinet ensemble compositions, his works for bass clarinet duo, bass clarinet quartet, bass clarinet soloists, and clarinet ensembles have been performed around the world and are radically expanding the technical and stylistic possibilities of these genres. Jonathan has received commissions from ensembles such as the San Francisco Symphony, Peninsula Symphony, Symphony Number One, Imani Winds, Empyrean Ensemble, ADORNO Ensemble, Woodstock Chamber Orchestra, Wild Rumpus, New Keys, and the Great Noise Ensemble, and performances from numerous other ensembles and performers. His works are published by Potenza Music Publishing, BCP Music, and Peer Music, and his music has been recorded by the Sqwonk bass clarinet duo, the Kairos Consort, pianist Jeffrey Jacob, The Living Earth show, Imani Winds, the Twiolins, and the NakedEye Ensemble. Jonathan has served as Music Director for four highly acclaimed dance productions with choreographers Janice Garrett and Charles Moulton. His work on their June 2011 production, The Experience of Flight in Dreams, earned him a nomination for an Isadora Duncan Dance Award in the category of “Outstanding Achievement in Music/Sound/Text.” He has also written concert reviews for the San Francisco Classical Voice and Bachtrack. He has a B.A. in Music from Harvard University and an M.M. in Music Composition from the San Francisco Conservatory of Music. His primary composition teachers have included Paul Lansky, Dmitri Tymoczko, Dan Trueman, Barbara White, Steve Mackey, Dan Becker, Elinor Armer, Eric Sawyer, John Stewart, and Eric Ewazen. His clarinet teachers have included Janet Greene, Alan Kay, and Jo-Ann Sternberg. He is currently a PhD Candidate in the composition program at Princeton University and lives in London, UK. 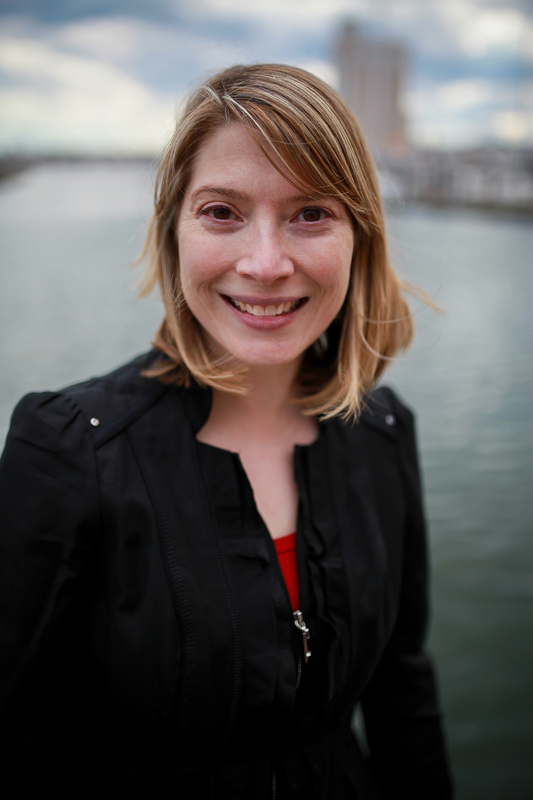 Australian composer Nicole Murphy is the recipient of various awards, including the Theodore Front International Orchestral Prize (2013), the Definiens C3 International Composer’s Award (2011), the Alan Lane Award for Composition (2004), the Collusion/QCGU Composition Prize (2004), and the A.G. Francis Prize for Composition (2001). 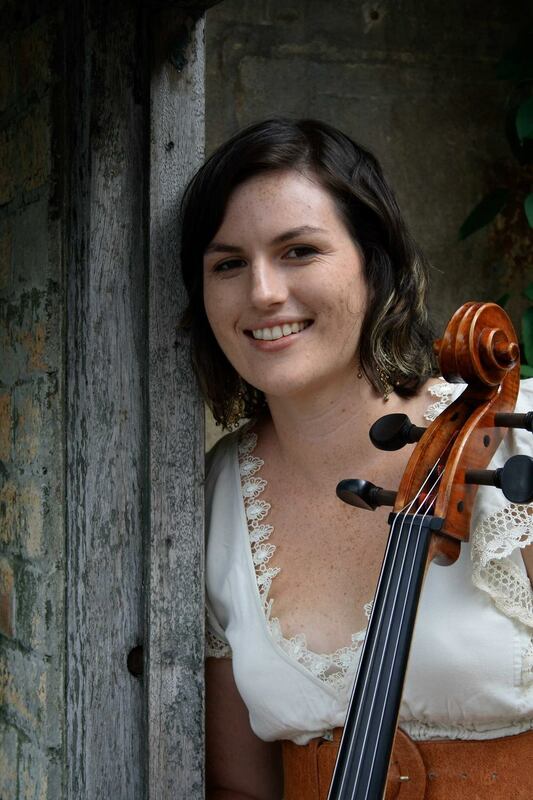 For the past decade Nicole has been presenting creative composition workshops and residencies in schools and communities throughout Australia, both independently and as a Composer-in-Residence for Musica Viva. Symphony Number One performed Nicole Murphy's Water Mirrors at Grace and St. Peter's Church in Baltimore on Saturday, Oct. 17 at 8:00p & Sunday, Oct. 18 at 3:00p. The music of Andrew Boss is widely acclaimed for expressing its creative voice, offering captivated listeners “something that has never been heard before.” (Florida Music Teachers Association). His musical language is encapsulated in a “fundamentally tonal, often vividly spiced language”(Baltimore Sun). Currently residing in Austin, Texas, Mr. Boss is pursuing his Doctorate of Musical Arts in Composition at the University of Texas at Austin (UT) as the 2013-14 Recruitment Fellow under the tutelage of Dan Welcher and Donald Grantham. Mr. Boss has enjoyed many performances by the nation’s leading ensembles. The premiere of his first symphony, Tetelestai (2014), by the University of Texas (UT) Wind Ensemble under Jerry Junkin was an enormous success; its many performances throughout 2015-16 include its College Band Directors National Association premiere in February 2016 at the Southern Division Conference in Charleston by the Kennesaw State Wind Ensemble and its Australian National Band and Orchestra Conference premiere in September 2016 by the Sydney Conservatory Wind Ensemble. He recently enjoyed his debut with the Dallas Winds in February 2016 with his new piece, Millennial Inception. His Divertimento for Piano and Saxophone Quartet received its North American Saxophone Alliance (NASA) premiere by the Resurgence Quartet and the composer in February 2015. Mr. Boss has recently enjoyed a critically-acclaimed world premiere of his Concerto for Alto Saxophone and Small Chamber Orchestra (2015) by Baltimore-based chamber orchestra, Symphony Number One, and is considered as one of their founding composers. He is currently writing an orchestral work for a commission with UT’s symphony orchestra. Mr. Boss has been the recipient of many awards in his academic career as a composer, including the Virginia Carty Delillo Composition Award for the finale movement of his Symphony for Quintet, the Florida Young Artist Award from the Florida State Music Teachers Association (FSMTA), and The Johns Hopkins career development grant. Mr. Boss received his Master of Music in Composition in 2013 under the tutelage of Dr. Kevin Puts at the Peabody Institute of The Johns Hopkins University. He has been a part of several notable festivals, including the 2013 Norfolk and Bowdoin Music Festivals. He also served as the program director for the New Music Conflagration (NMC) for their first concert series in 2013-14. In addition to composing, Mr. Boss is active as a pianist, conductor, and educator. As a pianist, Mr. Boss performs regularly both as a soloist and an accompanist, often but not limited to his own music. As a conductor, and as the selected winning composer, Mr. Boss directed his own composition, Aftershock, with the Peabody Preparatory Wind Orchestra on May, 2013. He also directed the world premiere of Elizabeth Baker’s Cosmic Dreams in July 2014. As an educator, he currently devotes his time in teaching freshman Music Theory classes as an Assistant Instructor as well as private studies in Theory and Composition. Mark Stanley Fromm (b.1982) is a composer, teacher, and bassoon and saxophone player from Pittsburgh, Pennsylvania. His works have won numerous awards and have been performed worldwide, including Nashville, New York City, Ottawa, London, Santiago, Doha, and Bangkok. His music has been praised for its natural shape, structure, and lyricism. Much of his music is locally inspired, including commissions for "Steel, Slag, and Silicon" by the Pittsburgh Chamber Music Society, "Frick Gates" for the Pittsburgh Philharmonic Orchestra, and "Silent Spring" for Trillium Ensemble. His most recent work, "Lingua Cosmica," is a concerto for contrabassoon, commissioned by the Carnegie Mellon University Contemporary Ensemble upon their acquisition of a new instrument. He currently plays principal bassoon with the Pittsburgh Philharmonic Orchestra, and is an active composer and performer member of Alia Musica Pittsburgh, a group dedicated to the performance of new music by local composers. In 2014 he joined the faculty of Pittsburgh CAPA (Creative and Performing Arts) 6-12 School, where he teaches music theory and composition and conducts the Elektroacoustic Ensemble. He holds degrees from Carnegie Mellon (BFA), McGill University (MMus), and The University of Pittsburgh (PhD). For more information about Mark and to hear some of his music, visit www.markfromm.net. Jonathan Hugendubler (b.1992) is an active contemporary composer who is passionate in the field of concert music. He is exceedingly excited to compose in the fields of solo, chamber, and orchestral music. Currently based in Baltimore, Jonathan is a native of Central Pennsylvania.He has composed several works for colleagues and friends. A recipient of several commissions from fellow musicians, He has recently had performances at both the Peabody Institute's and Shenandoah University's concert halls. Jonathan Hugendubler is pursuing a Doctor of Musical Arts degree (D.M.A) from the Peabody Institute of Johns Hopkins University. At Peabody, he studies composition with Oscar Bettison. Previously, he attained a Peabody Institute of Johns Hopkins University and B.M. in Music Composition from Shenandoah Conservatory under the tutelage of David T. Little and Ruby Fulton. He has also participated in several composition masterclasses, most notably with Dutch composer Louis Andreessen. Alexa Rinn is a 25-year-old composer from Winchester, Massachusetts. She received her Master of Music degree in composition from the Peabody Institute in 2014 and graduated in 2012 from Boston University’s College of Fine Arts with a Bachelor of Music in composition and theory. While at BU, she studied with Rodney Lister, Samuel Headrick, and Ketty Nez, and she spent a semester abroad in 2010 at the Royal College of Music in London, England, where she studied with Alison Kay. Alexa has had her music performed at the Norfolk Festival, the HighScore festival, New Music On the Point, Boston University, the Peabody Institute, and in the National Portrait Gallery in London. She is currently pursuing her doctoral degree in composition at the Peabody Institute of the Johns Hopkins University in Baltimore, Maryland, where she continues to study with Michael Hersch, as well as with Amy Beth Kirsten. Born in New York City in 1969 to a musical family, composer Paul Richards has been engaged with music since childhood, including forays into various popular styles, the Western canon, and Jewish sacred and secular music through his father, a cantor. All of these experiences inform his creative activities, which have included numerous orchestral, vocal, chamber, and theatrical works. Hailed in the press as a composer with "a strong, pure melodic gift, an ear for color, and an appreciation for contrast and variety," and praised for his "fresh approach to movement and beautiful orchestral coloration," his works have been heard in performance throughout the country and internationally on six continents. He has been recognized in numerous competitions, including the 2014 Columbia Summer Winds Outdoor Composition Competition, the 2009 St. Mary's University/Kaplan Foundation Composition Competition, the Jacksonville Symphony Orchestra's Fresh Ink 2002 Florida Composers' Competition, the International Section of the 2000 New Music for Sligo/IMRO Composition Award, and the 2001 and 2004 Truman State University/M.A.C.R.O. Composition Competitions. Other honors and awards include Special Distinction in the ASCAP Rudolf Nissim Prize, Finalist in the 2006 American Composers Orchestra Whitaker Reading Sessions, Finalist in the Atlanta Chamber Players 2009 Rapido! Composition Competition, Second Prize in the International Horn Society Composition Competition in 2001, First Place in the 1999 Voices of Change Composers Competition, two First Place prizes in the Guild of Temple Musicians Young Composers Award (1994-95, 1995-96) and many others. Commissions have come from organizations including the Southwest Florida Symphony Orchestra and Chorus, the Jacksonville Symphony Orchestra, the Boston Brass, the 6ixwire project, Florida State Music Teachers' Association, St. Mary's University/Kaplan Foundation, Buffet-Crampon International Summer Clarinet Academy, Open Heart String Quartet, Duo 46, Sonoran Consort, Meet the Composer-Arizona, Arizona Repertory Singers, Arizona Commission on the Arts and Catalina Chamber Orchestra. In addition, many university wind programs have commissioned Richards' work, including those of Baylor, DelMar, Florida, Illinois - Champaign/Urbana, Michigan, Nevada - Las Vegas, North Carolina - Greensboro, Northern Iowa, Syracuse and Truman State. Richards' second opera, with libretto by Wendy Steiner, “Biennale”, was premiered in October, 2013, at the Barnes Foundation in Philadelphia. Richards and Steiner’s first opera, “The Loathly Lady”, received its premiere April 1, 2009 at Irvine Auditorium on The University of Pennsylvania campus. With a strong interest in dramatic works and collaborations with other artists, he composed the score to James Babanikos' film “Somewhere Beyond”, and has recently completed “Ambitions”, an extended song cycle on the poetry of Lola Haskins. Witch Doctor, a CD of Richards' wind ensemble music, was released in 2013 on the Mark Custom label. Fables, Forms, and Fears, a CD of Richards' chamber music, was released by Meyer Media in 2007. Music by Paul Richards is also recorded on the Centaur, MMC, Capstone, Spitfire, and Summit labels, including a recent recording featuring famed clarinetist Richard Stoltzman and the Slovak Radio Orchestra. His works are published by Carl Fischer Music, the International Horn Society Press, TrevCo Music, Jeanné, Inc., and Margalit Music. Currently Professor of Music and head of composition and theory at the University of Florida, where he has been on the faculty since 1999, he served as Visiting Professor at Florida State University in 2016, and previously taught at Baylor University. Richards earned the Doctor of Musical Arts degree in Composition at the University of Texas at Austin, and Bachelor of Music and Master of Music degrees in Theory and Composition at the University of Arizona. Sean William Calhoun composes music of vibrant harmonies, written with performers in mind. His recent collaborations have included Windrunner and Sonata for Flute and Piano, written for flutist Emma Resmini, Leviosa, written for The Witches (flute and violin), and Dew and Glass, for the Green Moon duo (flute and guitar). The Peabody Wind Ensemble, conducted by Harlan Parker, premiered his piece Edgedancer in October of 2015, and the Indiana University of Pennsylvania Concert Band, conducted by Jack Stamp, premiered the wind ensemble version of his Coruscation in April of 2015. The Milieu Quartet selected his percussion quartet "In Chasms Deep" as the winner of their call for scores, and premiered it on their concert in December of 2015. The music of composer and multi-instrumentalist Dan VanHassel (b. 1981) has been described as “energizing” (Wall Street Journal), “a refreshing direction” (I Care If You Listen.com), and “an imaginative and rewarding soundscape” (San Francisco Classical Voice). Drawing from a background in rock, Indonesian gamelan, free improvisation, and classical music, his works create an evocative sound world that is both exuberantly expressive and intricately constructed. Recent performances of note include the Talea Ensemble at the MATA Festival in New York City, the International Computer Music Conference in Perth, Australia, Shanghai Conservatory Electronic Music Week, Dinosaur Annex in Boston, pianists Gloria Cheng and Keith Kirchoff, Empyrean Ensemble, Ignition Duo, Ensemble Pamplemousse, Red Fish Blue Fish, and Santa Barbara’s Now Hear Ensemble. 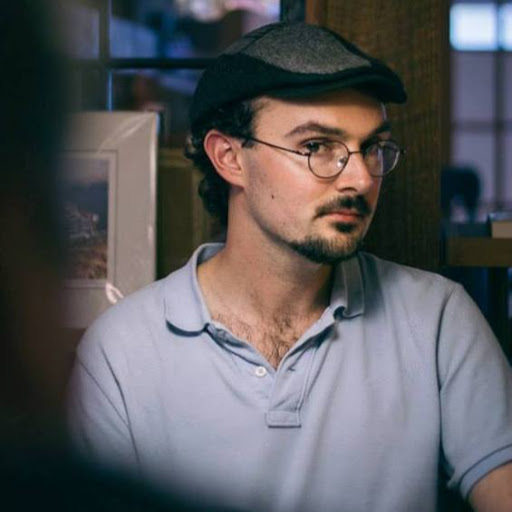 His work has also been featured at the Bang on a Can Summer Festival, UC Davis Music and Words Festival, Wellesley Composers Conference, June in Buffalo, Music11 Festival, and the SEAMUS National Conference. Also active as a concert organizer and performer on piano and electric guitar, Dan is a founding member and artistic director of contemporary chamber ensemble Wild Rumpus in San Francisco. Currently residing in Boston, Massachusetts, Dan has degrees from the University of California-Berkeley, New England Conservatory, and Carnegie Mellon University. Dylan Arthur Baker is a graduate student pursuing a DMA degree in music composition at the Conservatory of Music and Dance at the University of Missouri - Kansas City, where he studies with Zhou Long. He completed an MA degree at the University of Michigan, where has studied with Evan Chambers and Bright Sheng. He graduated from Cornish College of the Arts in Seattle with a BM in Music Composition. His principle instructors at Cornish were Janice Giteck, Eric Banks, and Emily Doolittle, and at Central Washington University (CWU) he studied with Eric Flesher. His music has been performed and been given readings by many professional, and professional-level, ensembles such as the Eurydice String Quartet, Corigliano String Quartet, Pacific Rims Percussion Quartet, Saint Helens String Quartet, the Seattle Philharmonic, and the Hong Kong Philharmonic. 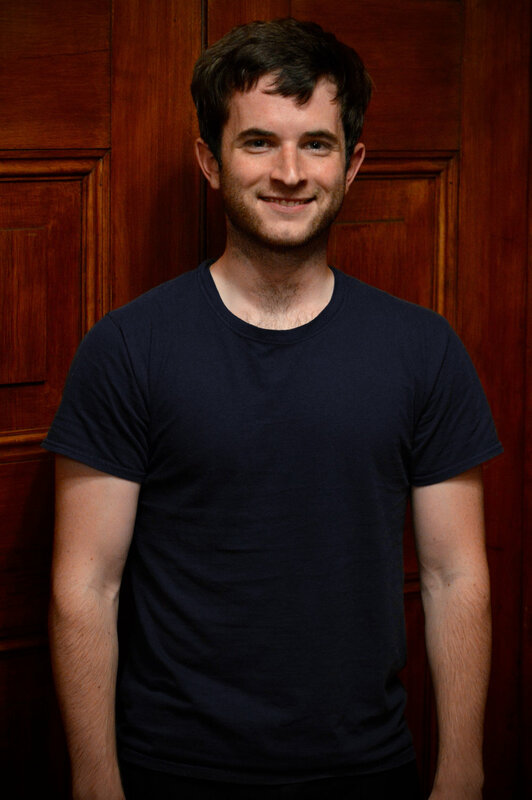 During the summer months he has studied at the Brevard Music Center (where he studied with Robert Aldridge and David Dzubay), has been a featured composer at the Oregon Bach Festival Composers Symposium in Eugene, the highSCORE Festival in Pavia, Italy, and the Splice Institute in Kalamazoo Michigan. Prior to attending Cornish, Dylan earned a BA degree at CWU where he majored in philosophy, and completed his thesis in aesthetics. His primary philosophy instructors were Dr. Matthew C. Altman and Dr. Gary Bartlett. 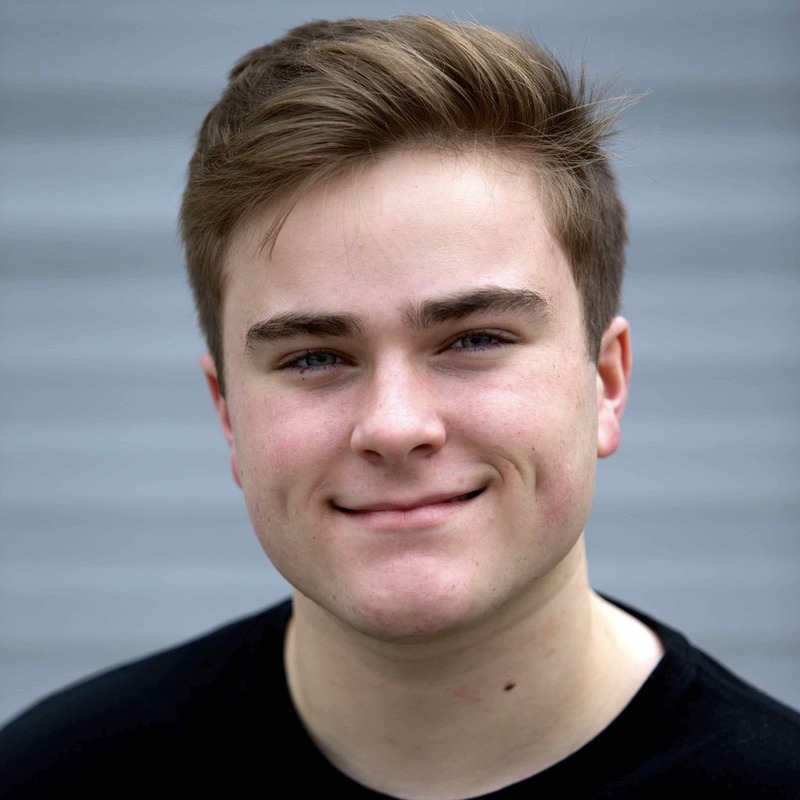 Dylan has continued to cultivate his interest in aesthetics, studying with the influential philosopher Kendall Walton at the University of Michigan. 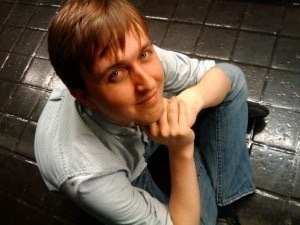 Joel Puckett (born June 27, 1977 in Atlanta, Georgia) is an American composer. He comes from a musical family; his father was a classical tubist and in his retirement still plays dixie-land jazz gigs around Atlanta. Joel completed his academic work at the University of Michigan, earning both a Masters of Music and a Doctorate of Musical Arts. His teachers include Michael Daugherty, William Bolcom, Bright Sheng, Will Averitt, and Thomas Albert. The September 11th tribute This Mourning—one of his most notable works—was commissioned by the Washington Chorus and is scored for 250 singers, full orchestra and a consort of 40 crystal glasses. This premiere took place at the main stage of the Kennedy Center in Washington D.C. in late November 2006. Among his other notable pieces is his concerto for flute, flute choir, and wind ensemble The Shadow of Sirius, which was written to commemorate the loss of his child through miscarriage. Puckett is a member of the theory faculty at the Peabody Conservatory. Previously he taught at Shenandoah University and Towson University. Puckett also served a term as the composer-in-residence for the Chicago Youth Symphony Orchestras. Want to see something in print? Here's our season brochure. *To rate in iTunes, open iTunes on the desktop and search for "Symphony Number One," visit an album, select the "Ratings and Reviews" tab, then click the button "Write a Review." We are eagerly looking for volunteers to serve on our board, and help with concerts, publicity, and development. Please contact us and we'll put you to work! Spread the word! We're on every platform as @symphno1. Are you an Amazon shopper? Now, there is a new way to support Symphony Number One! Simply visit sym1.co/smile, select Symphony Number One, then use smile.amazon.com for all your Amazon holiday shopping! Prices are identical to "normal Amazon," but we get a small donation as a result! Complimentary copy of Symphony Number One’s first CD release featuring the works of Faure, Mozart, and Fromm. For a list of existing supporters and sponsors, visit our sponsors page. To learn more about how you can support Symphony Number One or how to become a volunteer, please contact Selena Maytum, Development Director, at 443-840-7449 or selena@symphno1.org. Symphony Number One is a nonprofit organization that depends on the contributions of individuals to sustain its performance and artistic development. Donate via Fractured Atlas here. Symphony Number One has a variety of needs that can be met by in-kind donation of goods and services. Artist Music Center: Symphony Number one is grateful for the support of Artist Music Center which has donated the rental of digital keyboards and amplifiers for a number of concerts. Google: Symphony Number One is a recipient of a Google Ad Grants award. The Google Ad Grants program supports registered nonprofit organizations that share Google's philosophy of community service to help the world in areas such as science and technology, education, global public health, the environment, youth advocacy, and the arts. Google Ad Grants is an in-kind advertising program that awards free online advertising to nonprofits via Google AdWords. Harris Professional Association: HPA generously provides free accounting services to Symphony Number One. Salesforce Power of US: Symphony Number One is the recipient of the Salesforce Power of US grant, giving us free use of 10 Salesforce accounts as we strive to provide every Symphony Number One community member with a transformative musical experience. University of Baltimore School of Law: The University of Baltimore legal clinic graciously provides legal counsel on retainer to Symphony Number One. Electronic Equipment: Symphony Number One has need of an iPad, any generation, in good appearance, for use as a dedicated email signup and cash register tool at concerts. Alternatively, SNO would seek an individual who would be willing to consistently donate the use of an iPad at concerts and other events. Food, Drink, Catering, Cash Bar: Symphony Number One is planning a variety of upcoming projects involving food and drink partners of all kinds. This could include, but is not limited to, corporate sponsorship, local restaurants, silent auction items, samples, coupons, special offers, cash bar service, and more. Graphic Design: Symphony Number One seeks support with designing and producing print products, including marketing materials and branded merchandised. Legal Services: Symphony Number One seeks additional experienced lawyers able to help with contracts, licensing, policy and hiring practices. Photography: Symphony Number One relies on the generous support of photographers willing to donate free and deeply discounted photography. Training: SNO needs training on Salesforce and GSuite Admin. Vehicles: SNO regularly makes use of moving vans and moving trucks. However, there are many situations in which we could save money in the case of someone donating the use of their vehicle. Venues: Symphony Number One is constantly looking to explore new venues across the region. With a limited budget, SNO seeks venue-use donation or below-cost use. Volunteers: For other volunteer needs, please see our Opportunities page.